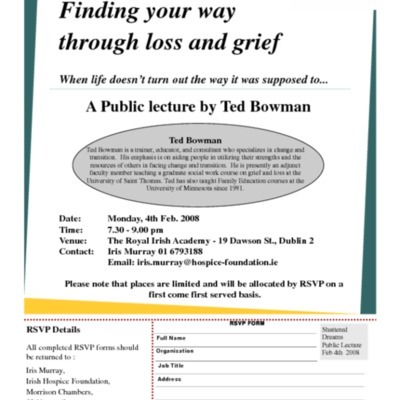 An invitation to the talk 'Finding your way through Loss and Grief: When Life Doesn't Turn out the Way it was Supposed to', by Ted Bowman,trainer, educator, and consultant who specializes in change and transition, in Dublin in 2008. 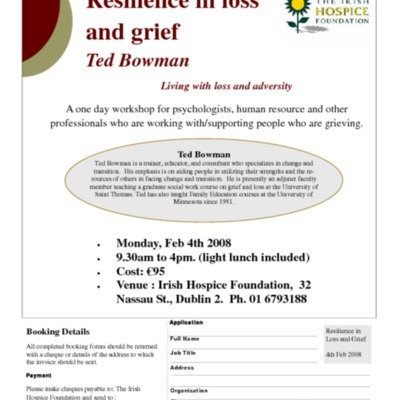 An invitation to the talk 'Resilience in Loss and Grief: Living with Loss and Adversity', by Ted Bowman,trainer, educator, and consultant who specializes in change and transition, in Dublin in 2008. 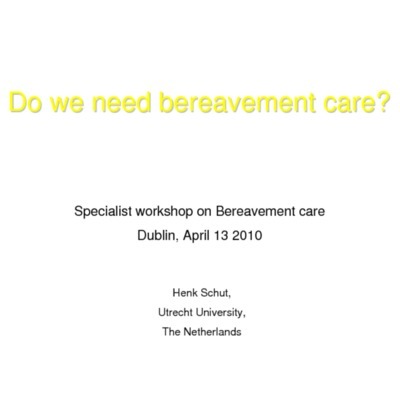 Slides from the lecture given by Professor Henk Schut in Dublin, 2010, concerning the need and nature of bereavement care. 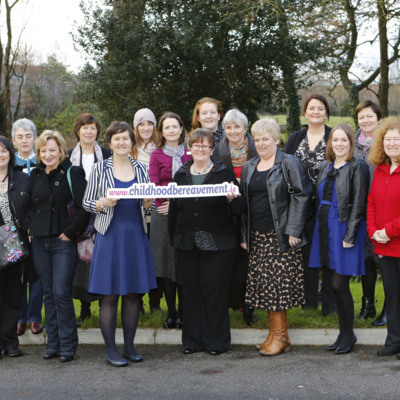 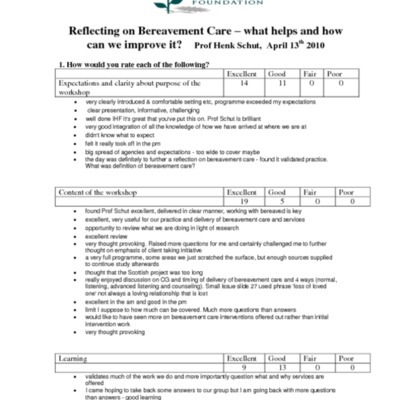 Rating and responses of participants to the experience of the seminar, 'Reflecting on Bereavement Care – what helps and how can we improve it?' 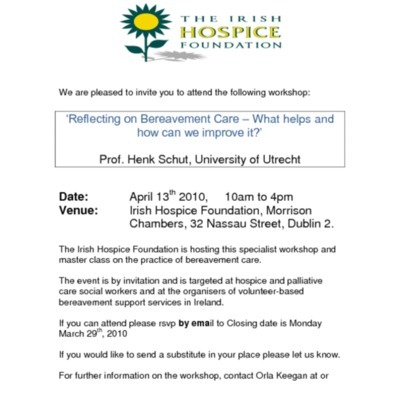 given by Professor Henk Schut, from the University of Utrecht. 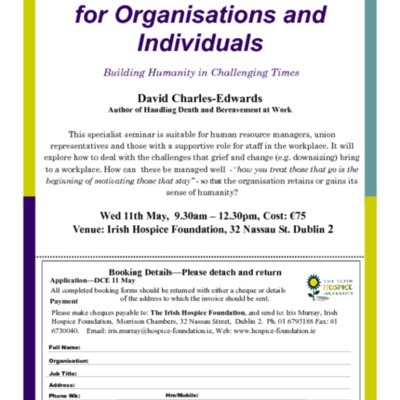 Handouts for Loss, Death and Work for Organisations and Individuals masterclass. 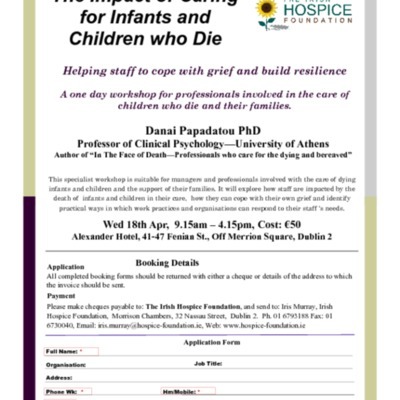 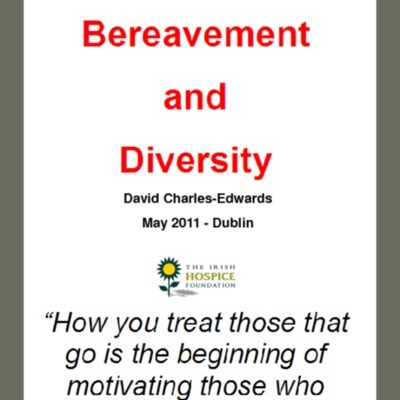 A leaflet promoting a seminar run by David Charles- Edwards, regarding how to deal with the challenges that grief and change bring to a workplace.